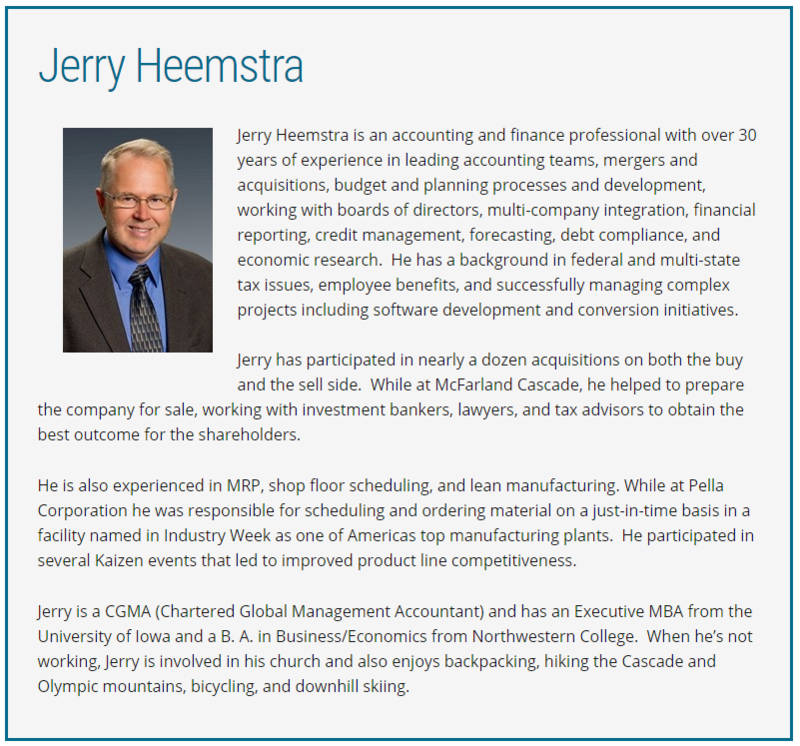 Jerry Heemstra is an accounting and finance professional with over 30 years of experience in leading accounting teams, mergers and acquisitions, budget and planning processes and development, working with boards of directors, multi-company integration, financial reporting, credit management, forecasting, debt compliance, and economic research. He has a background in federal and multi-state tax issues, employee benefits, and successfully managing complex projects including software development and conversion initiatives. Jerry has participated in nearly a dozen acquisitions on both the buy and the sell side. While at McFarland Cascade, he helped to prepare the company for sale, working with investment bankers, lawyers, and tax advisors to obtain the best outcome for the shareholders. He is also experienced in MRP, shop floor scheduling, and lean manufacturing. While at Pella Corporation he was responsible for scheduling and ordering material on a just-in-time basis in a facility named in Industry Week as one of Americas top manufacturing plants. 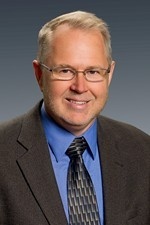 He participated in several Kaizen events that led to improved product line competitiveness. Jerry is a CGMA (Chartered Global Management Accountant) and has an Executive MBA from the University of Iowa and a B. A. in Business/Economics from Northwestern College. When he’s not working, Jerry is involved in his church and also enjoys backpacking, hiking the Cascade and Olympic mountains, bicycling, and downhill skiing.